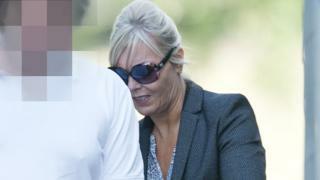 A woman who took nearly £132,000 from aviation giant Airbus has been jailed for two-and-a-half years. Carena Jane Land, 54, pleaded guilty to fraud by abuse of position at the Airbus plant in Flintshire between 2012 and 2016. Mold Crown Court heard that Land paid legitimate expenses with her company credit card, and would then duplicate claims. According to the prosecution, a total of 59 transactions were discovered. Land, who was an assistant and company secretary, was dismissed in June 2015 after the company carried out an investigation. Police then discovered more duplications. Land bought holidays, hotel stays and luxury items, and told police that she lived beyond her means to make herself feel better. She blamed cash problems after her husband lost his job and their marriage broke down. She added that her intention was to pay the money back. A defence barrister said Land, who lives in Eyton, Wrexham, was remorseful and had been thought of highly both professionally and personally. Judge Rhys Rowlands told Land this it was an extremely serious matter, both for the amount involved and the length of time in which she behaved in a dishonest fashion. Despite her age and ill health, the offence was so serious only an immediate custodial sentence could be justified, Judge Rowlands added.